A deluded mind cannot come out of delusion on its own, it can happen only through grace; it needs a holding hand. Someone who is drowning in the water, cannot jump out of the water because he is drowning. If he could swim, he would have swam. Since he cannot swim, he is drowning and he needs some help. Arjuna says, "I was drowning in this Samsara, in this world, deluded, and you gave me a helping hand and took me out of this. I am so grateful. Your grace has saved me. You have taught me the secrets of spirituality. I cannot thank you enough. You have told me about your qualities. How you are everywhere. How you are not just the body. 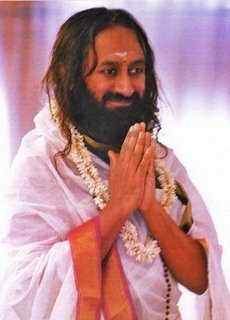 You have explained to me in many ways that you are the eternal spirit"
The more knowledge you gain, the more inquisitiveness arises in you. This is the sign of a good seeker. See the dichotomy here. One is contentment; I am so thankful, grateful to you that I have come out of delusion. There is a certain contentment. Yet, there is a spirit of enquiry: "I want to see your multiple forms. I want to see you more. I want to see your divine form. You have told me about your form, but you have not shown me your divine form. I want to see that divine form". What Arjuna says in the next verse is very interesting. He says, "Only if you feel that I am fit to know, then you tell me. Show me your form if you feel that I am fit for it, if you feel that I am capable of beholding your form, only then show it to me." This indicates that spiritual knowledge has brought contentment, but has also kept the spirit of enquiry alive, and a total confidence in the teacher. The formless is now talking and it is bridging the gap between the form and the formless. The formless is one and the forms are many hundreds and thousands in number. In this dichotomy of the one formless and the millions of forms, one needs a special angle or eye to see that, to perceive this and to comprehend. Krishna says, "Though I am formless, I am in all the forms. My forms are not one, but many millions of them. In all shapes, in all forms, I am there. See me everywhere. This is Vishwa Roopa". He says, "Look here. Look at me. The Suns (adityas), all the Devas and all the Bhutas, everything is in me. In the Universe there are objects which are moving, objects which are stationary. Those that are conscious, those that are not conscious. So the conscious, unconscious, moving, and immovable, all these forms and shapes, everything is in me. To see this you need a special eye. You cannot see this with the normal eye. I am going to give you the eye to see this". Sanjay is the commentator. He is seeing from his third eye as well. Sanjay is sitting in the palace, so far away from the battlefield and he is giving commentary to the king of what he has seen. This is the narration of Sanjay, who is sitting in a palace, narrating what's happening in Kurukshetra, a few hundred kilometers away from Hastinapur. 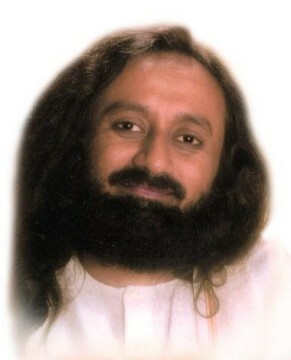 Sanjay says, "Arjuna sees that divinity now with many forms. He is not seeing Krishna in Krishna's form. He is seeing all the forms at once". Krishna has just become like a TV box. In the TV tube, you see everything. In the same way, the body has become transparent now. But in the body, he is seeing many forms. All the things he wanted to see, he had imagined, or he had not imagined, all those things started appearing. Arjuna says, "Now I see all the divine forms in you. 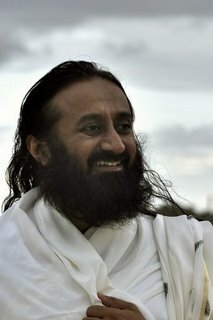 The Rishis are in you. All the Sages of the Universe, I see them all. And I see no beginning, no end, or no middle. Every form in the Universe is your form." This is something very subtle to comprehend. It is a very subtle thing. You need to comprehend with full attention. The world is Divinity. The Divinity and the world are not two separate things now. It is one. There is no beginning, no end, and there. Arjuna says, "I see so many hands and so many eyes. I get so many visions. It is creating goose bumps in me. All these forms, the entire Universe is nothing but you, in you." That is why it is Vishwa Roopa -- The world is my form. And see Me in the world and see the world in Me -- then you have seen the Vishwa Roopa, you have seen the Universal Form. When an experience of that intensity happens, it becomes hard to handle. And this is what is happening to Arjuna. Arjuna says, "I cannot look. It is too grand for me. I cannot see. I am disappearing. Something is happening. I am dissolving. I cannot see any more. It is too much to take. You are the imperishable. That which is worth knowing. If you have not known this, there is nothing else worth knowing. You are the holder of everything, that is imperishable. The space in which everything is, is imperishable. That is what you are. My Goodness! I never knew this before." Arjuna says, "In your form, I see the formless. You are eternal. You are the Being."